The internet and social media are changing the beauty industry dramatically. Not long ago beauty businesses would market themselves in magazines and newspapers to deliver their messages and customers would easily book their services or purchase their products. For better or worse, those days are gone and the nature of marketing a successful beauty business orbits around the use of social media. Join Erin Hendley, owner of f.a.c.e. 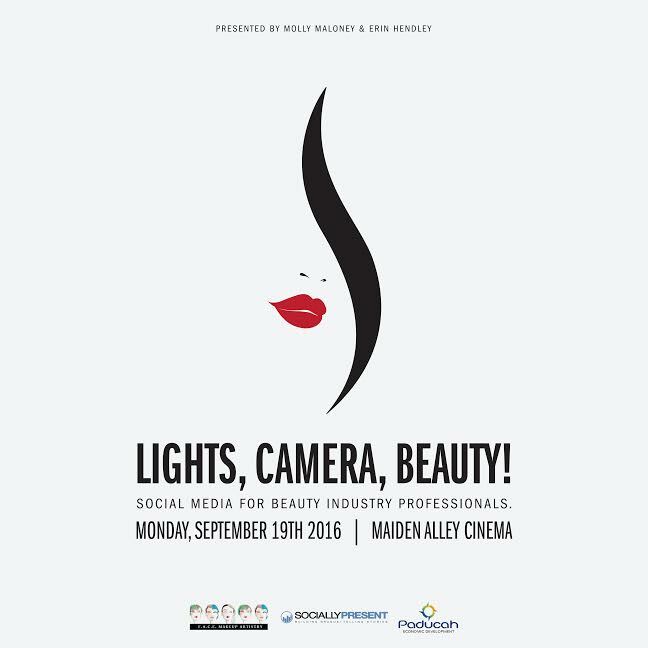 Makeup Artistry & Molly Maloney, Social Media Manager at Socially Present for the debut class “Lights, Camera, Beauty”: Social Media for Beauty Industry Professionals!